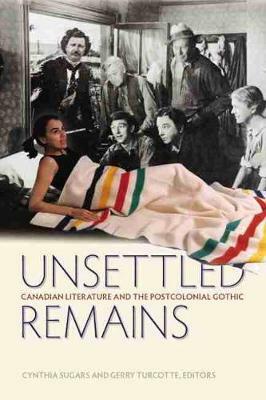 Unsettled Remains: Canadian Literature and the Postcolonial Gothic examines how Canadian writers have combined a postcolonial awareness with gothic metaphors of monstrosity and haunting in their response to Canadian history. The essays gathered here range from treatments of early postcolonial gothic expression in Canadian literature to attempts to define a Canadian postcolonial gothic mode. Many of these texts wrestle with Canada's colonial past and with the voices and histories that were repressed in the push for national consolidation but emerge now as uncanny reminders of that contentious history. The haunting effect can be unsettling and enabling at the same time. In recent years, many Canadian authors have turned to the gothic to challenge dominant literary, political, and social narratives. In Canadian literature, the "postcolonial gothic" has been put to multiple uses, above all to figure experiences of ambivalence that have emerged from a colonial context and persisted into the present. As these essays demonstrate, formulations of a Canadian postcolonial gothic differ radically from one another, depending on the social and cultural positioning of who is positing it. Given the preponderance, in colonial discourse, of accounts that demonize otherness, it is not surprising that many minority writers have avoided gothic metaphors. In recent years, however, minority authors have shown an interest in the gothic, signalling an emerging critical discourse. This "spectral turn" sees minority writers reversing long-standing characterizations of their identity as "monstrous" or invisible in order to show their connections to and disconnection from stories of the nation.